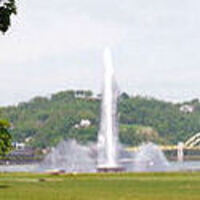 The Fort Pitt Museum and Point State Park invite homeschool students in the 4th, 5th, and 6th grades to participate in a series of in-depth classes related to history and environmental studies. Classes will be both hands-on and minds-on, and will include reading and writing activities, student led discussions, and take-home assignments for students to continue their learning after class. This is a drop-off program. Students will need to arrive at the Fort Pitt Museum at 9:45pm and be picked up no later than 2:00pm. Cost is $10 to $15 per student per class.